The Victorian government looks set to follow South Australia’s lead in banning e-waste in landfills. 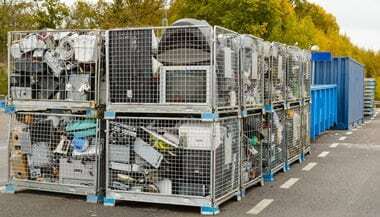 The natural outcome of these bans will be a growing awareness of e-waste footprints on the part of purchasing managers and the cost of obsolescence. The twin evil uncles of our current e-waste problem are short product life cycles and planned obsolescence – the practice of limiting a product’s lifespan by deliberate design. While many manufacturers may not deliberately plan for obsolescence, short product lifespans are the inevitable result of modern manufacturing practices: low cost components; sealed, unserviceable units; rapid iterations from one generation of technology to the next; promoting the latest cool feature to gain an edge over the competition, etc. To be fair, short product life cycles have a lot to do with Moore’s law, the seemingly unstoppable cycle that doubles the power of microprocessors every two years. Even so, it’s a cycle that manufacturers have learned to love. 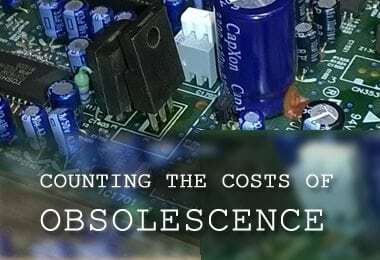 Products that don’t generally outlive the lifespans of their rechargeable batteries are good examples of planned obsolescence; so too are products that are cheaper to replace than fix. Together, those two groups amount to a huge and growing proportion of all future e-waste. They’re the reason that e-waste is now such a big problem. What is this manufacturer’s reputation for build quality? Does battery life dictate the overall life of the product? How easily and affordably can the product be serviced? Does the manufacturer / retailer run a trade in scheme? To what extent is the product recyclable? What are the costs of disposal and who will pay for disposal? Will this product have a resale value? As we become more aware of the issues around e-waste it also seems likely that suppliers’ sustainability credentials will carry more weight in purchasing decisions. Reliable information on sustainability oriented supply chain provenance can be hard to source. But as more organisations implement sustainability programs based on based on frameworks such as the Global Reporting Initiative we can expect to have access to a lot more quality information. One obvious way to avoid the cost of obsolescence is to rent or lease. 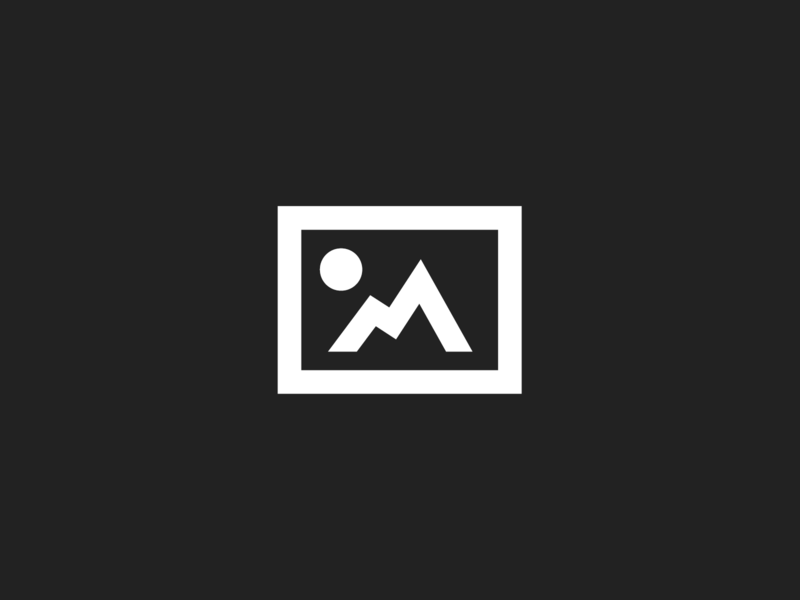 Computer leasing and tool hire have been common practice for many years. In recent years a new breed of Internet services has emerged that make new kinds of short term rental convenient. Uber, AirBnB, clothing and jewellery rental services are already well established in the consumer market place. It seems only a matter of time before this trend extends into the workplace, making it practical to rent a much wider range of commercial equipment. Some see emerging rentals markets offering a boost sustainable economics, citing the current practice of buying goods outright as a major contributor to short product life cycles. Renting items for limited periods allows them to be shared amongst those who might otherwise buy them outright, reducing demand for new ones. A renting culture would also change marketplace dynamics, placing a greater emphasis on build quality and longevity. The same principles apply to reducing E-waste as other any other waste stream. Aim to Reduce, Reuse and Recycle. As the time draws near when we’ll all need to think about disposing of our e-waste responsibly, we need to look ahead with those 3Rs in mind for all future electronics purchases. At the very least, we should start to warn suppliers now that in future we want goods that are 100% recyclable. 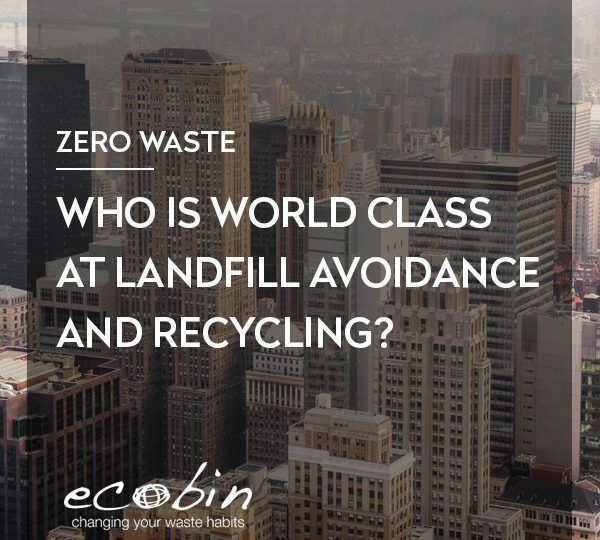 Who is World Class at Landfill Avoidance and Recycling?